Justina Mutale has been appointed to the Advisory Board of the British Award for Africa Development (BRAAD). The British Awards for Africa Development is a project pioneered and developed by Peace International, to highlight and recognise the achievements of talented individuals who have excelled in academia, entrepreneurial endeavours, as well as NGO’s or companies who have contributed time, finances or sheer hard work to support the development of Africa and the African Diaspora. 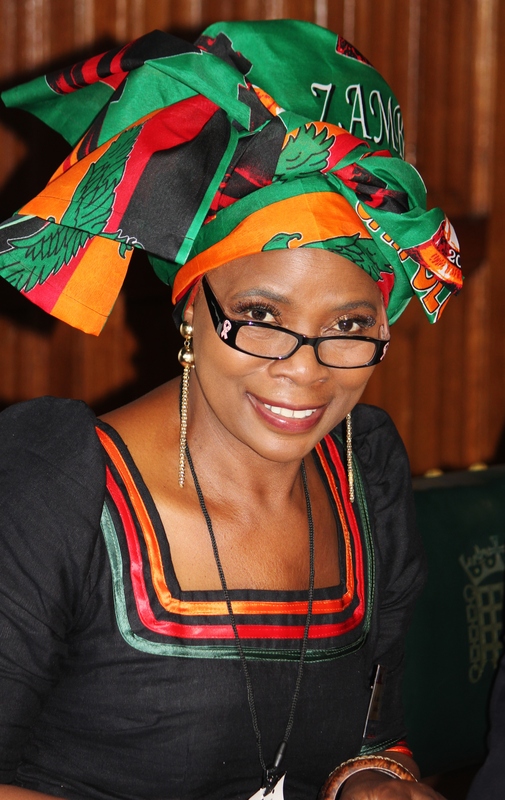 The inaugural ceremony of the British Award for Africa Development is scheduled to take place at the House of Lords, Westminster Houses of Parliament in London, on Thursday 4 December 2014. “The British Award for African Development is a fantastic initiative and provides an opportunity for individuals and companies to be recognised and celebrated for all they have contributed to African communities both in the UK and abroad. I fully support BRAAD and I am looking forward to an enjoyable evening. I wish all the nominees the best of luck”. Pauline Lathan, OBE UK Member of Parliament. To be a recipient of the British Award of Africa Development nominees have to meet one or more of the criteria which includes being a model of good governance, investing in people and human development; building capacity and knowledge transfers and creating jobs for the Diaspora and in Africa; facilitating sustainable community development and introducing innovations in the business sector; facilitating Diaspora, country or regional economic development, social and private investment and financial empowerment; encouraging community excellence with outstanding service in the community, outstanding moral, financial and/or resource support and investment in the community; and being responsible for outstanding achievements in education and academia, and to be outstanding in a given sector. “Today Africa is among the world’s fastest growing economies despite the recent global downturn. Apart from Multinational investors, Africa and the Diaspora are leading in this new economic boom as they are actively taking part in entrepreneurship and investment. The Diaspora are also participating in the economic development of their adopted countries”. says Jean Bosco Kanyemesha, Executive Director of Peace International and Founder of the British Award for Africa Development. Peace International actively advocates for peace, reconciliation and development in the great lake regions of Africa and specifically the Democratic Republic of Congo. The organization has undertaken advocacy work with Lord William of Oystermouth, former Archbishop of Canterbury as part of a campaign entitled “Prayer for Peace in Congo”. Peace International actively engages with the UK Parliament; the Department for International Development (DfID); the Foreign & Commonwealth Office; and the European Union. The initiative is supported by Lord David Alton, the Former Lord Bishop of Winchester, and the Right Reverend Michael Joynt Scoot.